Yale Club of London - A Hollywood Christmas at the Royal Albert Hall - meet conductor John Mauceri afterwards! 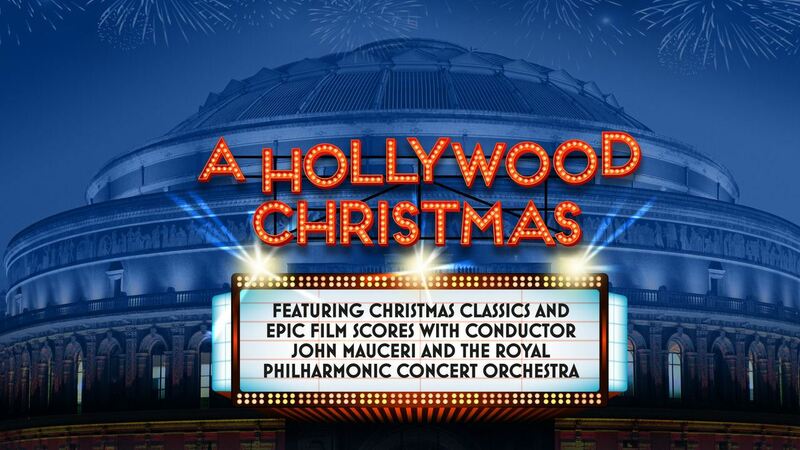 A Hollywood Christmas at the Royal Albert Hall - meet conductor John Mauceri afterwards! Meet conductor John Mauceri afterwards! Join Yale and Columbia alumni for this all-new Christmas concert at the Royal Albert Hall, celebrating great scores from beloved Christmas films. The charismatic American conductor John Mauceri (Yale '67, YSM '71) and CNN’s ‘Voice of the Millennium’ – who performed to audiences of four million during his record-breaking tenure at the Hollywood Bowl – leads the Royal Philharmonic Concert Orchestra in this exciting motion picture journey. The evening will feature scores from festive films such as A Christmas Carol (1984), The Nightmare before Christmas (1993) and Harry Potter and the Philosopher’s Stone™ (2001), as well as Christmas carols including Hark the Herald Angels Sing and The First Noel. Maestro Mauceri has agreed in principle to host an intimate meet and greet after the performance, so you will also have so you will also have the opportunity to meet the great eman himself. Click here to register for this event. Due to limited availability, please register soon to avoid disappointment! If the event link is fully booked, feel free to book tickets through the Royal Albert Hall: we are seated near the back of the stalls slightly stage left if you want to book seats nearby.